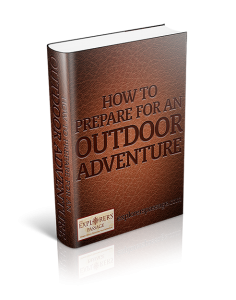 The Explorer’s Guide to Antarctica contains everything you need to know on How to Visit Antarctica. This guide is full of information and tips to help you learn about Antarctica, the last great wilderness on Earth. 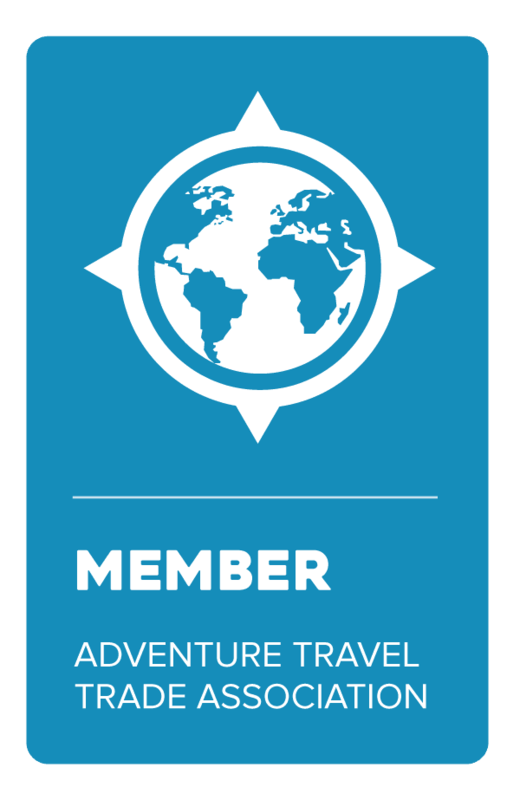 The guide also covers the many options in getting to Antarctica to help you plan your trip. Antarctica is the southernmost continent on Earth. It contains the Geographic South Pole, a significant landmark for intrepid explorers across generations who have tried to reach the center of Antarctica. 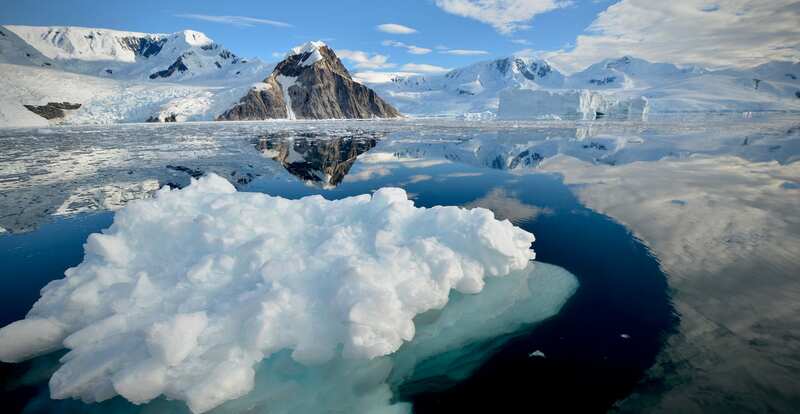 Virtually uninhabited, Antarctica is a landmass unlike any other, covered in snow and containing a variety of rare wildlife. Cruises often visit the Antarctic Peninsula stretching towards South America. This area is known for the Lemaire Channel, and Paradise Harbour. With striking, iceberg-filled passageways, the majesty of the landscape is undeniable. There is also Port Lockroy, a former British research station which is now a museum. In Antarctica, you can see a variety of local wildlife, including penguins, whales and seals. This isolated terrain of Antarctica shelters the rich diversity of fauna, providing a charming encounter with the animal kingdom. The vast majority of Antarctica’s serene landscape is covered by glacier ice. It is divided into giant ice sheets, the East and West Antarctic Ice Sheets. The East Antarctic Sheet is larger, thicker and older. The West Antarctic Sheet is smaller, and lies between the Weddell Sea and the Ross Sea. The ice thickness in Antarctica varies depending on the type of ice-sheet. Antarctica also contains many islands, alongside the large land mass. Some are permanently linked to the mainland by ice, however, others are connected only by seasonal Antarctic sea ice. The coastline is largely fringed with ice shelves, the biggest being the Ross Ice Shelf in the Ross Sea and the Filchner-Ronne Ice Shelf in the Weddell Sea. To put this into perspective the Ross Ice Shelf is almost twice the size of the United Kingdom. Icebergs are scattered off the coastline, making the terrain challenging to access. The climate of Antarctica is intensely cold and harsh which leads to the formation of glaciers, when repeated snowfall is compacted over time. This process leads to an increase of the ice thickness in Antarctica. However the ice in Antarctica is melting faster than it is being formed due to increasing temperatures and global warming. Antarctic ice levels in the Southern Ocean are declining at record levels. The Antarctic landscape features are vast and varied. Mountains are dotted across the landscape, and there are occasional dry valleys as well. These are areas of extremely low humidity, surrounded by mountains that prevent the flow of ice from nearby glaciers. The Antarctic is an extreme desert with the inner regions receiving less that 2 inches of precipitation a year in the form of snow. That is less precipitation than the Sahara desert and no living organisms have ever been found in the permafrost in these areas. 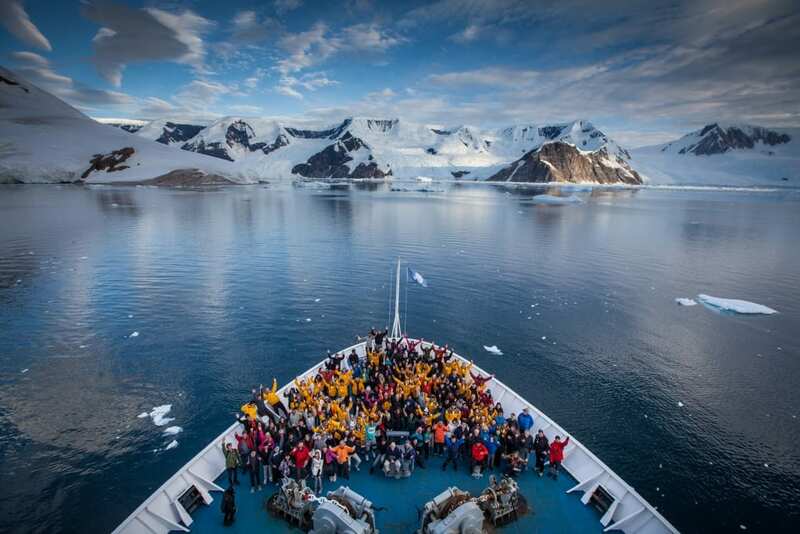 Most visitors to Antarctica arrive by ship. Voyages take from 10 days to several weeks depending on the route, and ships will range from basic to luxurious. Many will offer the opportunity to go ashore. Many cruises to Antarctica often sail across the Drake Passage and depart from Ushuaia, the southern tip of Argentina. There are flights to Ushuaia from Buenos Aires. Once you leave Ushuaia, the Antarctic Peninsula is approximately a two day sail across the Drake Passage. Some voyages to East Antarctica leave from Hobart, Australia or New Zealand’s South Island, and are less common. This requires 10 days of crossing the Southern Ocean. There are flight options as well to Antarctica. One popular excursion is a 12-hour round trip flight over Antarctica by air from Melbourne or Sydney, Australia. This is one of the quickest and cheapest options for sightseeing in Antarctica, and although you won’t be able to explore on foot, it still includes films, lectures and incredible vistas through the air. Ushuaia is the southernmost city in the world and has a population of roughly 60,000 people. The city of Ushuaia was formally founded in 12th October 1884 by Augusto Lasserre, an Argentine naval officer, with missionaries and naval officers signing an act naming Ushuaia as the capital of Tierra del Fuego. Tierra del Fuego is an archipelago jointly controlled by Argentina and Chile. The former has control of the eastern half of the main island and the latter controls the western part including the islands south of the Beagle Channel. It is a very isolated city and can only be reached by a ferry from the mainland, thus earning the nickname “the End of the World”. It is home to the Martial Glacier which is a wonderful place for nature lovers to explore. This peak was named after Luis Fernando Martial, a leader of a French scientific expedition that arrived in the area in 1883. From a winding street, you can visit the glacier yourself! It’s a great area for trekking in the summer, and the street is kept free of snow for safety on the roads in the winter. There is a ski center, which is easily accessed by a chair lift, and features alpine and off-piste skiing which is great for more experienced skiers. The Beagle Channel sits within the Tierra del Fuego archipelago, near the southernmost tip of South America. It is named after the British ship The Beagle, in which Charles Darwin famously explored the area. It separates the main archipelago island to the north from many smaller islands to the south. The eastern portion of the channel is a part of the Chile-Argentina border. The three islands at the end of the channel were disputed over for some time before an agreement in 1985 meant they became part of modern-day Chile. Cape Horn is named after the Dutch city of Hoorn, in the Netherlands. It is the southernmost headland of the Tierra del Fuego archipelago, located on the small Hornos Island. Technically it isn’t the most southern point of South America, but it marks out the northern boundary of the Drake Passage, which is where the Atlantic and Pacific Oceans intersect! This makes the waters around Cape Horn quite hazardous, with strong winds and waves, currents and icebergs. It’s well known as a sailor’s graveyard with the turbulent seas and strong winds causing many problems for the early ships going to Antarctica.. 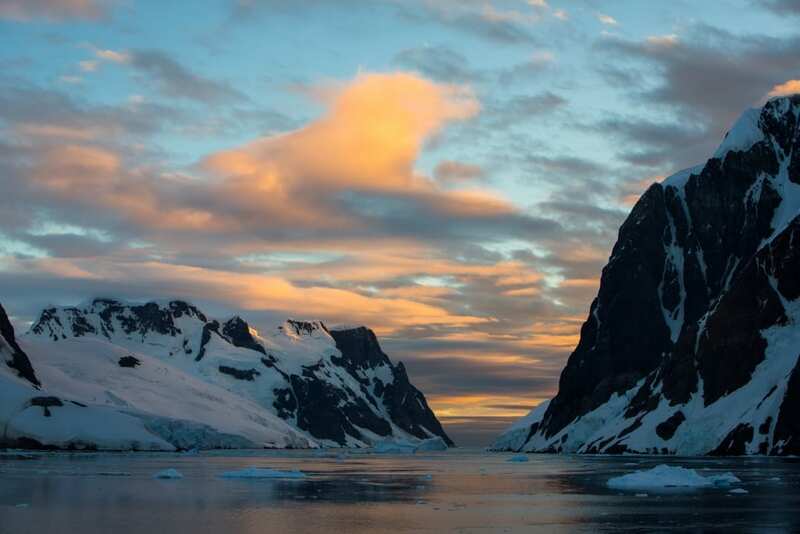 This deep waterway is named for English seaman and explorer Sir Francis Drake, and is the point of collision between the Atlantic and Pacific oceans, between Cape Horn and the South Shetland Islands, just 160 km north of the Antarctic Peninsula. It is a zone of transition between the cooler more humid, subpolar conditions of Tierra del Fuego and the more frigid polar regions in the Antarctic thus making it a unique climactic area. In 1773, Captain James Cook crossed the Antarctic circle and circumnavigated Antarctica. Even though he didn’t see the land mass itself, there were plenty of rock deposits in icebergs showing that a southern continent did exist. Declaring it of “no benefit” to the world, he didn’t investigate further. The next visit came from Captain Thaddeus Bellingshausen, a Russian naval officer in 1819-1821. He made the first sighting of the actual continent in January 1820, describing it as an “icefield covered with small hillocks”. In the winter of 1821 was when the first party of men spent a winter within the Antarctic circle. The group consisted of eleven men from the British sailing ship, the Lord Melville. Their ship was driven offshore and did not subsequently return to pick them up . They were involuntary stranded on King George Island which is not part of the mainland but lies north of the Antarctic Peninsula. They were rescued the following summer. In the 1840s, separate British, French, and American expeditions established Antarctica as a continent. British naval officer James Clark Ross took two ships within 80 miles of the coast until being stopped by the immense ice barrier now known as the Ross Ice Shelf. Some historians believe the first confirmed landing on continental Antarctica to be that led by Carsten Borchgrevink in 1899. His team landed at Cape Adare and built huts in order to survive the winter on the Antarctic land mass. It was in 1901 when Captain Robert Falcon Scott led the first expedition to try and reach the South Pole with Ernest Shackleton and Edward Wilson. They were forced to turn back at 82 degrees south, yet Ernest tried again between 1907 and 1909. In 1907 he reached within 156 km’s of the South Pole but was forced once again to turn back. In 1909, Australian Douglas Mawson was the first man to reach the South Magnetic Pole. The south magnetic pole was located on land outside the Arctic circle and is about 2,860 km away from the South Geographic Pole. The first man to reach the South Geographic Pole was Roald Amundsen in December 1911. His expedition relied on sled dogs and along with four fellow Norwegian explorers, they beat the British team lead by Scott by over 30 days. From here on, radio is introduced, whaling begins in the surrounding oceans, map making begins and more, as Antarctica is increasingly explored by humankind. This culminated in the International Geophysical Year, where 12 nations established over 60 stations in Antarctica and began the international cooperation in Antarctica, cementing it as “non-national”. James Ross led expeditions were on the HMS Erebus in 1839 and the HMS Terror in 1843. He was the first man to formally recognize Antarctica as a continent, rather than just a collection of islands. He discovered Mt Erebus, Mt Terror, the Ross Ice Shelf, the Ross Sea, Victoria Land, Seymour Island, Snow Hill Island and James Ross Island. Amundsen explored the Antarctic region between 1909 and 1911. He and the British Robert Falcon Scott engaged in the Race to the South Pole of 1911, Amundsen winning out by roughly a month. Being highly competitive, Amundsen originally wanted to be the first to reach the North Pole, but the Americans got there first – he promptly set his sights on the South Pole instead! Shackleton made several voyages to the Antarctic region, with an Australian member of his team, Edgeworth David, leading the first ascent of Mt Erebus in 1908. In his second mission his ship was sunk by an iceberg, but Shackleton managed to keep himself and his crew alive against all odds. Scott tried twice to reach the South Pole, the first time with Sir Ernest Shackleton in 1901, when they made it further than any men previously. Known primarily for the disastrous second attempt, Scott encountered a number of unfortunate problems with his team, though he and his team did reach the Pole in January 1912. Unfortunately, Amundsen beat them to it, and Scott passed away at Camp Evans before he could make it home. Robert Swan was the first man in history to walk to both the North and South Poles. His expedition ‘in the Footsteps of Scott’ aimed to recreate the Journey of Robert Falcon Scott in 1912. Robert and his team left from Cape Evans and after walking a grueling 900 nautical miles unassisted without radio they reached the South Pole in January 1986. 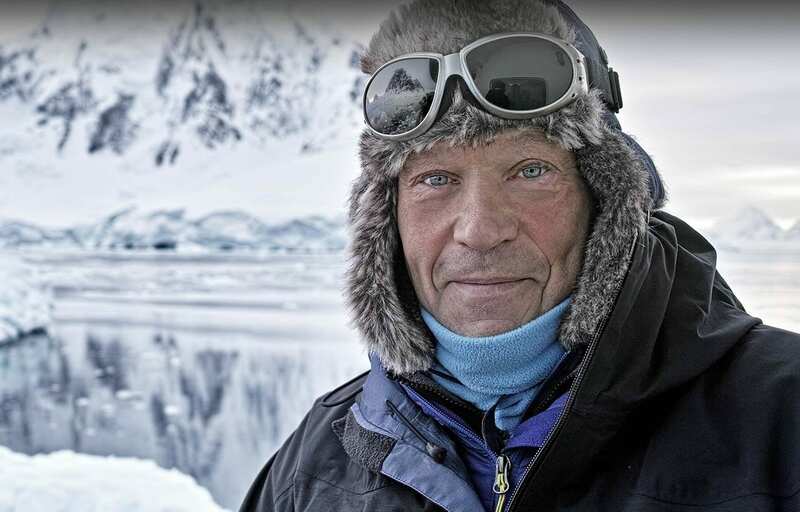 Swan then set his sights on the North Pole, completing his expedition ‘Icewalk’ with an 8 man team who overcame melting sea ice and almost drowned. 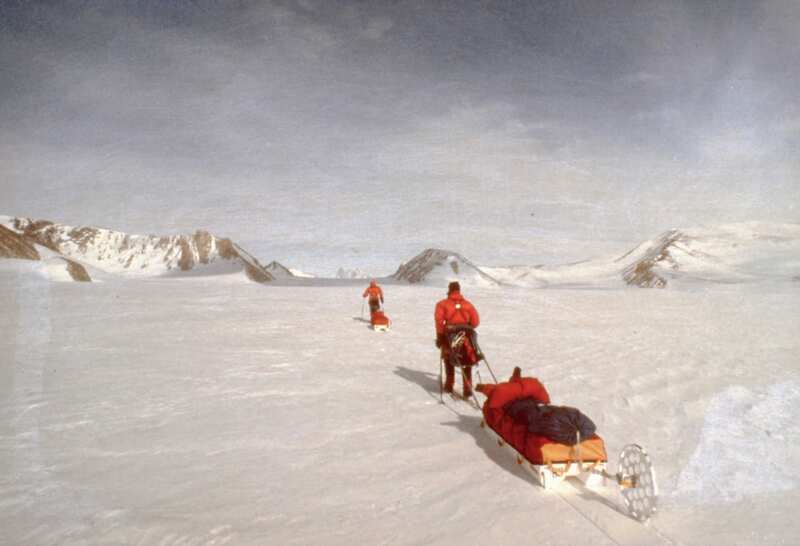 However in May 1989 they reached the North Pole and Robert Swan became the first man in history to walk to both poles. Swan is currently working on extending the Antarctic Treaty beyond the year 2041, aiming to prevent the exploitation of resources in the Antarctic through promoting renewable energy and inspiring global leaders. 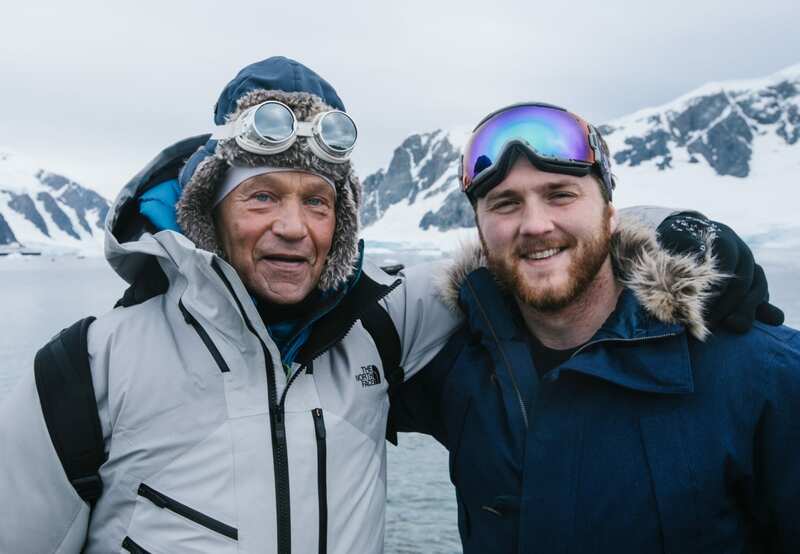 This year Rob and his son Barney will embark on the first-ever expedition to the South Pole powered solely by clean energy technologies. The 5th largest continent on Earth, Antarctica encompasses the South Pole and covers a surface area almost twice the size of Australia. The southern tip of South America is the nearest continent, which is only 1,000 km’s away. Antarctica changes in size as winter approaches, with the edges of the continent growing due to expanding Antarctic sea ice in the Southern Ocean. The total area approximately doubles in size as a large area of Antarctic ocean freezes over. It is much colder than the Arctic at the North Pole, with blizzards and wind speeds greater than 100km very common, as well as temperatures below -50 degrees. Antarctica is best visited in the late summer, which is from January – March in this hemisphere. In January, temperatures average 34 Fahrenheit, and there is an abundance of penguins and other wildlife hatching. February to March is a great time for whale spotting, as well! 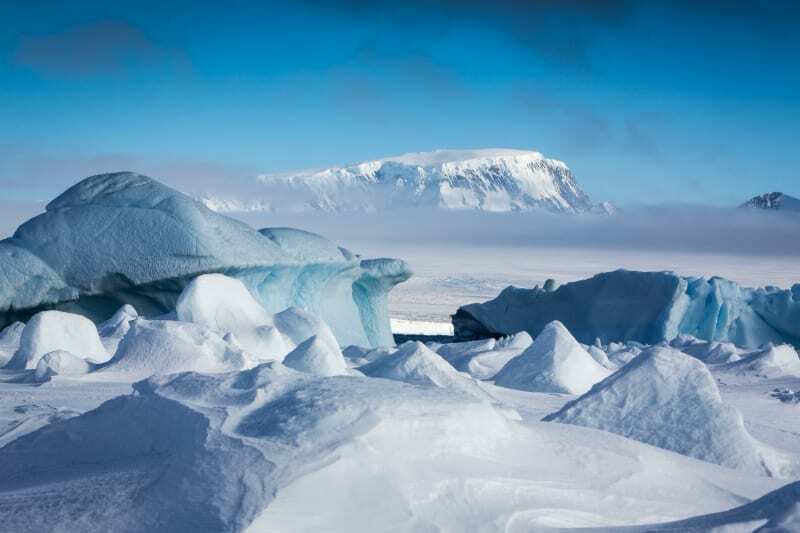 The climate of Antarctica is the coldest on Earth. The lowest air temperature record was -128.6 degrees Fahrenheit (-89.2 degrees Celsius) at Russia’s Vostok Station. Even lower ground temperatures have been gathered, and the landscape is also extremely dry. There is an average of only 166mm of precipitation each year. However, unless you are walking to the South Pole the temperatures in many of the areas where tourists visit average 34 degrees Fahrenheit. Because the snow rarely melts in many parts of the continent, the snow becomes compressed to form the glacier ice that makes up the ice sheet. Travelling weather fronts rarely make it very far into the continent because of strong cold winds originating from the peaks of Antarctica’s surface. The Crystal Sound is a channel, between the southern part of Biscoe Islands and the coast of Graham Land. 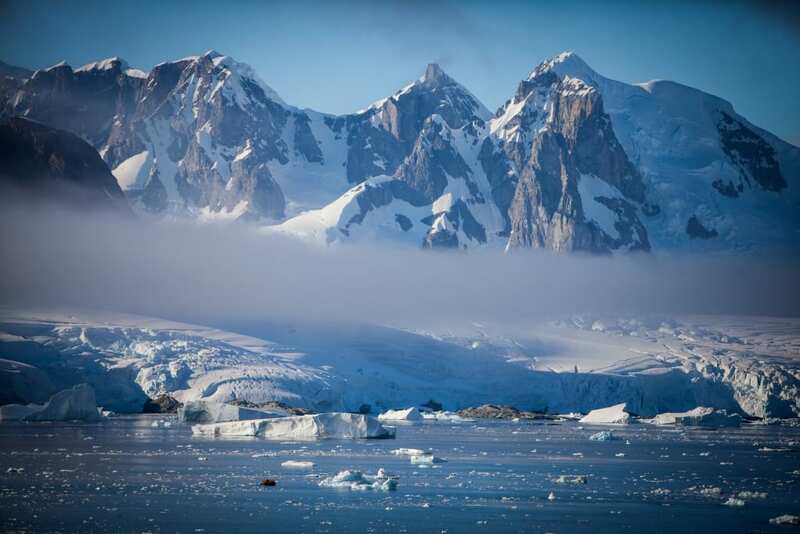 A uniquely magnificent location to see snow-covered mountains, it also plays a big part in scientific research in Antarctica as jey site used for ice crystal research. Floating icebergs, crystal clear water and more permeate the vista. These islands are a small group lying to the north entrance of Holtedahl Bay, off the west coast of Graham Land. They were discovered and named in 1934-1937. There are colonies of Adelie penguins and blue-eyed shags in this area, and wonderful sites of icebergs dotted across the seas around you. Prospect Point is a headland, at the very west extremity of Velingrad Peninsula on Graham Coast. It sits immediately east of Fish Islands, and was first roughly charted in 1934-1937. The name was given to the Point by E. P. Arrowsmith, Governor of the Falkland Islands. Sometimes, Emperor penguins can be sighted here, though they are becoming increasingly rare! 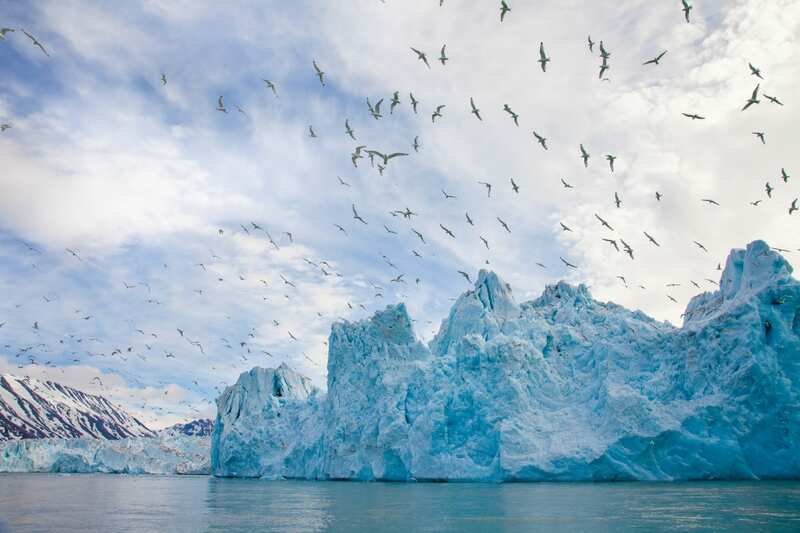 Enjoy the unspoilt iceberg-spattered landscape as you approach. The Gullet Channel is extremely narrow and separates Hansen and Day Islands, connecting the heads of Hanusse Bay and Laubeuf Fjord. First explored by the French under Charcot in 1909, is was only first surveyed and sketched in 1936. It was later given its descriptive name in 1948 by the members of the Falklands Islands Dependencies Survey. The Antarctic Circle is the most southerly circle of latitude on the map of Earth. The region south of the circle is the Antarctic, and the zone to the north is the Southern Temperate Zone. To the south, the sun is visible above the horizon for 24 hours at least once a year. The angle of the sun from Antarctica means that there is high refraction and lots of mirages – these tend to be even more spectacular than those in the Arctic, creating the illusion of a series of sunsets and sunrises while the sun really remains under the horizon. A truly unique sight! The Horseshoe Island base was established in 1955, as part of the push to increase scientific research on Antarctica by the United Kingdom. Used primarily for geology and surveying, the aim was to create a ground control network for the air photography being carried out in the area at the time. It is now closed and being conserved. Also known as Marguerite Bay, Stonington Island is a great spot for observing the local geology and biology. The station itself on this site was closed in 1950, as the Antarctic sea ice prevented access to relieve the station in 1949. Reopened in 1960 as a center for field work in south Antarctica, the site was eventually closed and is now being conserved as a site of historical importance. Known for being one of the most photogenic spots in Antarctica, this channel is nicknamed the ‘Kodak Gap’. It was discovered by a German expedition in the 1870s, but wasn’t fully explored until 1898. This was achieved by Belgian explorer Adrien de Gerlache, and he chose to name it after a fellow explorer, Charles Lemaire. It is called the ‘Kodak Gap’ because of its serenely beautiful views. Surrounded by steep glacial cliffs on their side, the still waters create incredible reflections. Sometimes icebergs can block the way, meaning that ships have to backtrack and sail around Booth Island, though this is more of a concern earlier in the season. Later in the season, you might even be lucky enough to spot a whale in the channel – a perfect Kodak moment! A thoroughly historical spot, Port Charcot is where Jean-Baptiste Charcot wintered his ship in 1904. 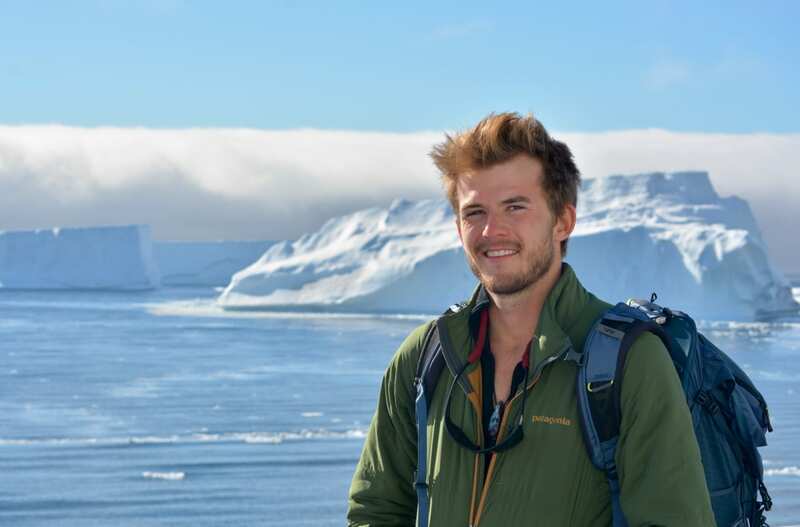 He built a cairn which you can still climb to, or just enjoy the local fauna – the Gentoo penguins that nest in these more sheltered areas are a wonderful site. Just south of Lemaire Channel, Pleneau Bay separates Hovgaard Island from the Antarctic Peninsula. Here you can see a variety of very entertaining seal life Crabeater, Leopard and Weddell seals! This is an Ukrainian Antarctic Station, situated at Marina Point on Galindez Island. Within the Argentine Islands, it is still named for the Soviet and Ukrainian mineralogist Vladimir Vernadsky. This site was originally owned by the British, and sold to the Ukrainians in 1996 for a symbolic one pound! Neko Harbor is a small bay on the northern coast of Andvord Bay. This bay’s coast is made mostly of glacier fronts and steep rock cliffs, making it tricky to land on the coast in this vicinity. It is possible only at a few select stops, with Neko Harbor being one! Solid swathes of granite are situated on the coastline, a compelling reason to stop for geologists and tourists alike. Located in the middle of the beautiful Errera Channel, Danco Island is home to a large population of Gentoo penguins. Some of the best zodiac cruising can be done around the island, and you can climb to the top of the island for some of the most spectacular views in Antarctica. 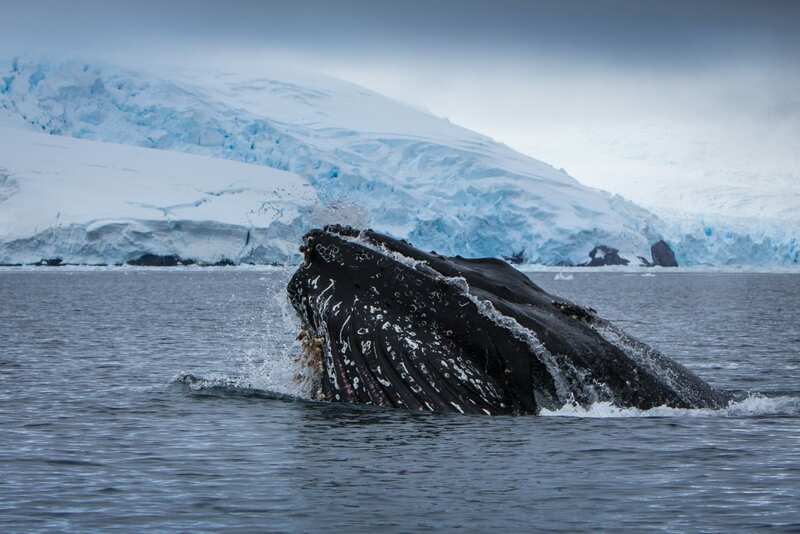 Named for the Queen of the Netherlands, Wilhelmina Bay is known for its population of humpback whales, and plays host to a splendor of Antarctic vistas. Deception Island is in the South Shetland Islands archipelago, and has one of the safest harbors in Antarctica.. It is now a great spot for tourists going to Antarctica with huge natural beauty as it is formed of the caldera of an active volcano. It is also an important area for scientific research on Antarctica due to its legacy as a major whaling station. 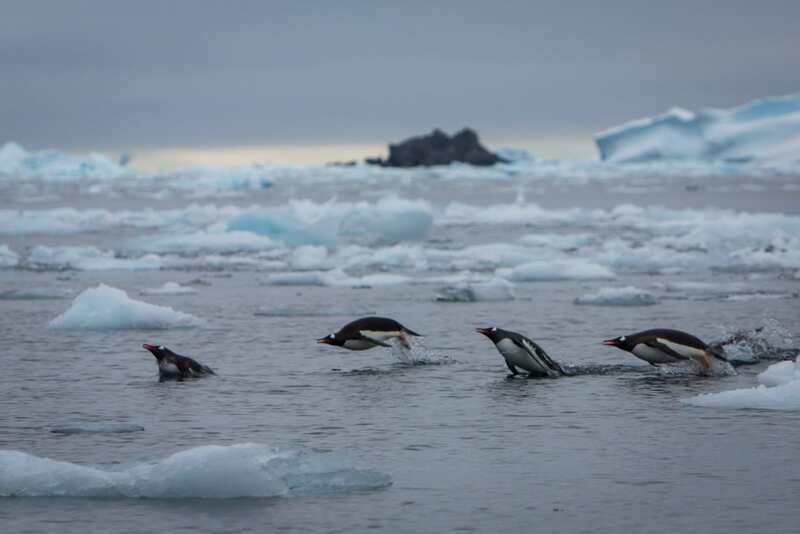 Despite the tough climactic conditions, there are a variety of wildlife in Antarctica. This includes penguins, whales, seals, albatrosses, and a range of other seabirds and invertebrates. Penguins are the most common bird, surviving the harshest conditions on Antarctica. There are 17 different species, though only 2 (the Emperor and Adelie) really call Antarctica home. Most species that can be found on Antarctica are just visitors – the conditions are very harsh for more creatures to survive! Regardless, you can spot a variety of interesting fauna, if the time is right. As you can see the Antarctic is truly a wonderful place and we hope you get the chance to visit it one day. We hope you found our Antarctica Travel Guide to be informative and helpful. If you have any additional questions on Antarctica do not hesitate to CONTACT us. We look forward to journeying with you on the open seas.